If you're a fan of English-language literature, few places are as full of literary landmarks as London, home to everyone from Shakespeare and Milton to Virginia Woolf and T.S. Eliot. This literary London tour points out just a few of the many places where you can commune with your literary heroes. As you set out on this literary London walking tour (which honestly might be a bit ambitious to do in one day), you'll want to look out for these blue (or sometimes brown) plaques scattered around the city. Since 1867, the plaques, in various incarnations, have marked landmarks associated with influential political and cultural figures. You may search for a particular author's plaque or plaques on the English Heritage website, or just keep an eye out for them. Within blocks of this T.S. Eliot plaque at 3 Kensington Court Gardens, for instance, you can see the former residences of Ezra Pound (10 Kensington Church Walk), William Makepeace Thackeray (2 Palace Green), and James Joyce (28 Campden Grove). Founded by Edward the Confessor in 1065, Westminster Abbey holds monuments and tombs of everyone from Queen Elizabeth I to Charles Darwin. Though the church and the cloisters are worth exploring, writers will gravitate to Poets' Corner, which is located in the South Transept. Here you'll find the tombs of luminaries such as Chaucer, Browning, Dickens, and Tennyson, among others, as well as memorials to Milton, Keats, Shelley, Dylan Thomas, and Henry James. To get to Westminster Abbey, take the tube to Westminster or St. James's Park. See the Westminster Abbey site for a list of hours. From Westminster, it's an easy walk to the historic Charing Cross location of Foyle's Bookshop (or take the tube to Tottenham Court Road or Leicester Square). Founded in 1903 by two brothers who had failed their civil service exams -- and were amazed by the response to the ad they placed to sell their textbooks -- Foyle's has been at this location since 1906. Regulars have included Sir Arthur Conan Doyle, G. B. Shaw, and Walt Disney; it's said that Aleister Crowley once haunted the occult department. If Foyle's doesn't sate your thirst for bookstores, browse through others on Charing Cross Road or venture over to Hatchards, London's oldest bookstore, at 187 Piccadilly, or Daunt Books, with its Edwardian decor, at 83-84 Maryleborne High Street. Once considered a less than respectable neighborhood, Bloomsbury in large part owes its literary reputation to Virginia Stephen -- later to become Virginia Woolf -- and her sister, Vanessa, who formed the Bloomsbury Group at their home at 46 Gordon Square. Woolf and her husband, Leonard, later ran Hogarth Press, which published The Wasteland, among other books, out of homes on Tavistock Square and Mecklenburg Square. A plaque for the group has been erected at 50 Gordon Square; Virginia Woolf's plaque, with her maiden name, is located at 29 Fitzroy Square. T.S. 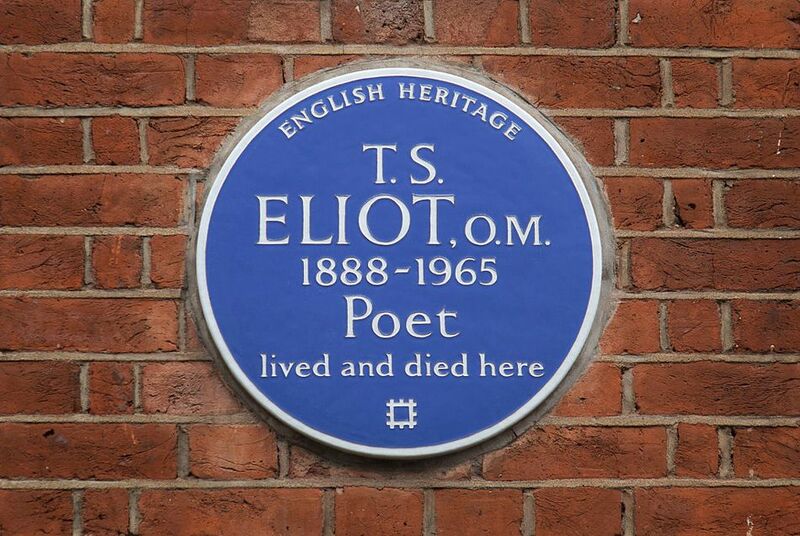 Eliot has a second plaque at 24 Russell Square. It should be noted, however, that Bloomsbury had a literary life apart from Virginia Woolf. After all, until relatively recently, the British Library was housed at the nearby British Museum, drawing countless writers and thinkers over the years, including Karl Marx, Gandhi, and George Bernard Shaw. The museum continues to maintain the old reading room, with its historic desks and chairs, though the books have moved on to a St. Pancras location (described later). If you'd prefer to imbibe your literary history along with a pint, wander over to the Fitzroy Tavern at 16 Charlotte Street, where writers such as Dylan Thomas and George Orwell hung out in the years between World War I and II. Bloomsbury and Fitzrovia, home of the Fitzroy, are both an easy walk from Charing Cross Road. Alternately, take the tube to Goodge Street for the Fitzroy, or to Russell Square or Tottenham Court Road for Bloomsbury. Walking from Bloomsbury to the British Library, Charles Dickens fans will want to stop off at 48 Doughty Street, the home of Charles Dickens from 1837 until 1839 and now a museum. Here, Dickens wrote Oliver Twist and completed The Pickwick Papers. Said to be the last surviving London home of the novelist, the house contains his study, manuscripts, original furniture, and other personal items. Take the tube to Russell Square, Chancery Lane, or Holborn. See the museum's site for hours and admission fees. For more details about the library's holdings, a list of its hours, and more transportation information see the British Library profile. In addition to its literary history, shady Bunhill Fields offers relief from the bustling city -- and from crowded tourist attractions. Here you're more likely to find City workers eating lunch than tourists. Take the tube to Old Street; off-season travelers be aware that the cemetery closes at 4:00 pm in the fall and winter months. To get to St. Giles, Cripplegate, take the tube to Barbican or Moorgate. From St. Giles, head south through St. Paul's to the Millennium Bridge. As you cross the Thames to Bankside and the Tate Modern on the Millennium Footbridge, you'll see a historically accurate replica of the most important Elizabethan theater: Shakespeare's Globe. The American filmmaker Sam Wanamaker funded the theater's reconstruction, which was erected on the site of the original theater in 1997. Inside, exhibits explain the methods and materials used in both the original and the replica. Alternatively, guided tours begin every 15-30 minutes throughout the day, except in the summer, when matinee performances prevent afternoon tours. From the Globe, walk east along the South Bank to Southwark Cathedral, London's oldest Gothic church (some parts of the cathedral date back to the 12th century). As the nearest church to London's first theater district, it's no surprise that Shakespeare worshipped at Southwark Cathedral. Inside there's a memorial to the bard, constructed in 1912, and the cathedral holds a Shakespeare birthday service each year. Like Bunhill Fields, the cathedral grounds provide a pleasant place to rest from the stimulation of the city. And when you're ready, venture out for a well-deserved drink or meal, readily available along the South Bank. Or, look up that night's readings in a Time Out, and set off to see what contemporary British writers are making of their literary inheritance.